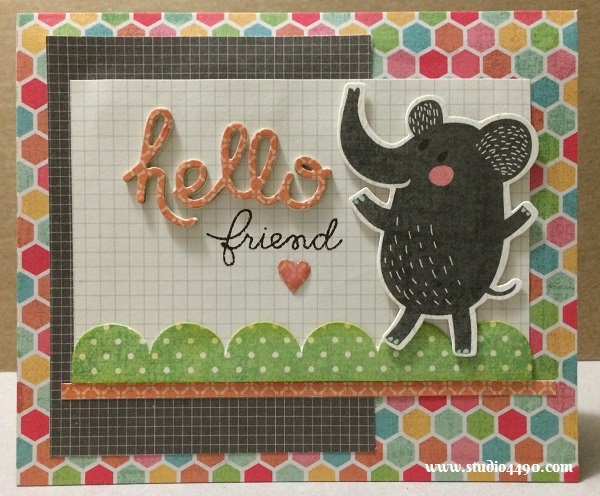 While at Spotlight on Friday I picked up a packet of the KAISERCraft Collectables – Hello Sunshine as the critters in the pack looked SO CUTE! (The pack is FULL of critters, banners, and tags which are great for both cardmaking and scrapbooking). I’ve never really created using pre-printed die cuts but these were just so cute I had to have them. I already had the matching paper pad and the colours and designs are just GORGEOUS. I’ve made a couple of cards already and have another one on the go so I’ll be sure to share it when it is finished. 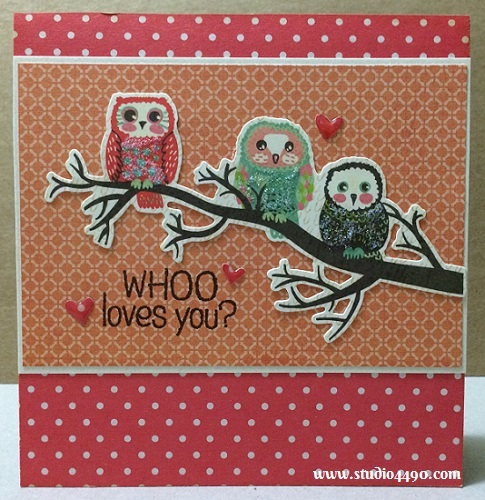 Materials used: Stamps – Whoo Loves You? (Hero Arts), Warm Hearts (Paper Smooches); Die Cuts – Hello Sunshine (KAISERCraft); Designer Paper – 6-1/2″ Paper Pad – Hello Sunshine (KAISERCraft); Glossy Accents (Ranger) and Stickles – Star Dust (Ranger). Materials used: Stamps – Chit Chat, Warm Hearts (Paper Smooches); Dies – Hello Words (Paper Smooches); Die Cuts – Hello Sunshine (KAISERCraft); Designer Paper – 6-1/2″ Paper Pad – Hello Sunshine (KAISERCraft), Paper from Simple Stories; and Glossy Accents (Ranger). For card two, I used the technique which is super popular at the moment. I die cut half a dozen of the “hello” die. Then I layered them together finishing off with a lovely green designer paper on top. As I was pulling the card together I realised it just didn’t look awesome, so cut out another “hello” in orange and whacked that on top of the green. Soooo much happier. Love the look. And seriously, aren’t those pre-printed die cuts ADORABLE?! !